When troubleshooting Avast software issues with Avast Support, you may be requested to compress (or zip) certain files before sending them to Avast Support for further analysis. Zipped files consume less storage space, which makes them easier to send via the internet. 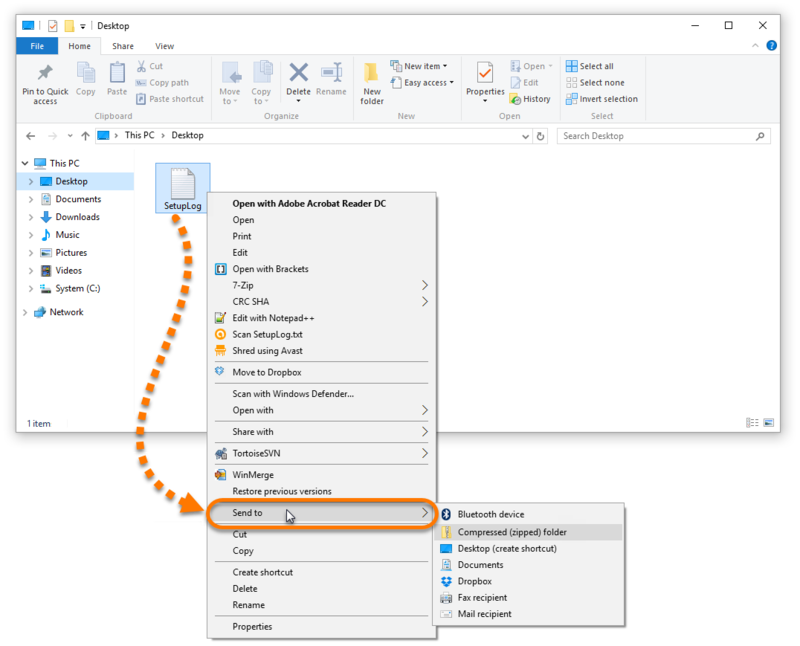 Open File Explorer (or Windows Explorer) and locate the file(s) you need to compress. Select and right-click the file(s), then select Send to. Select Compressed (zipped) folder to compress the selected file(s). The selected files are compressed to a new .zip archive which you can find in the same location as the original files. Send the zipped folder to Avast Support and wait for further instructions.